Out in my home state, the Church of Jesus Christ of Latter-Day Saints is building a new temple. This is amazing to me as the closest temple to my hometown (while I was growing up) was out of state, a 6-8 hour drive away. And now there will be access to a beautiful temple for so many more people within a short distance. 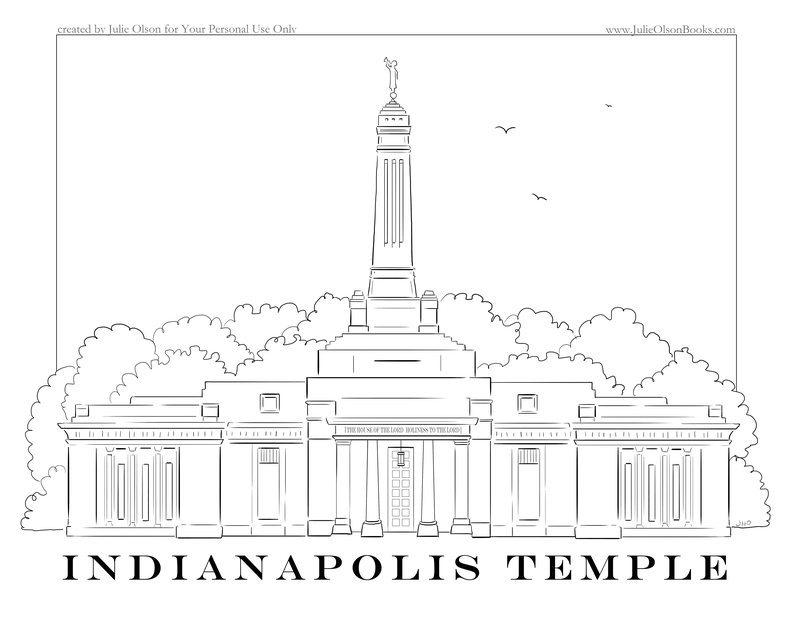 I'm so excited for my Hoosiers who now get a temple of their own. The open house is scheduled for Friday, July 17th through Saturday, August 8th. 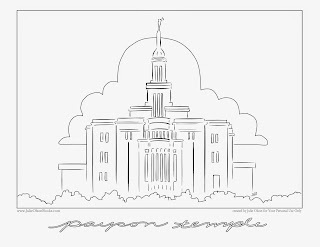 At the open house, anyone of any faith, any age, any circumstance may go through a tour of the temple before it is dedicated. 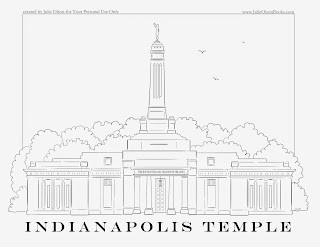 If you've always wondered about the temples, here's your chance to see inside. Once reservations officially open for tours, free tickets will be available HERE. To commemorate this event, I created a coloring page that can be downloaded, printed and used for personal, non-commercial use. Feel free to share with your friends. Click on the link below the picture. 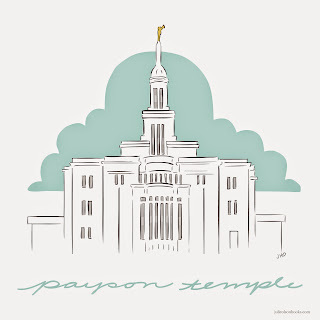 Look at this temple the #paysontemple. It is gorgeous inside and out. 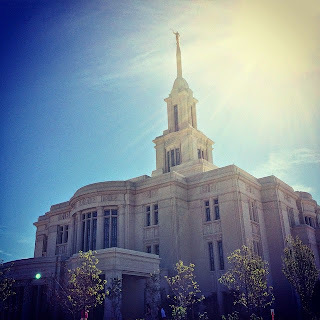 Until the end of May 2015, any person of any religion or walk of life of any age can go see this beautiful piece of architecture and art in Payson, Utah. It isn't far from my home (only about an hour south of Salt Lake City, UT) and I am so excited for that. Yes, it is a temple built by The Church of Jesus Christ of Latter-Day Saints, and yes, I am a member of this church. I was able to visit it the other day and take a tour and the stained glass and original artwork astounded me. I hope you get a chance to see it for yourself. You can reserve tickets HERE to make sure you get into a tour in a timely manner. But if you don't have tickets, they won't turn anyone away either. So go ahead come! 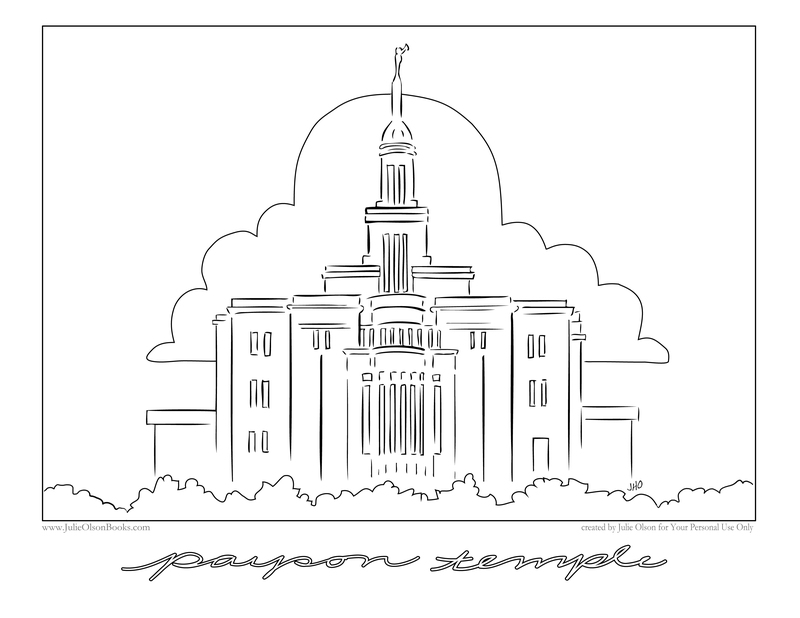 To commemorate its completion, I have drawn up a coloring page and created some vector art to share free of charge with the world. You are free to use it for personal/non-commercial use. Please give credit to me or my website when using if you would be so kind. Click on the links below the pictures and Enjoy!